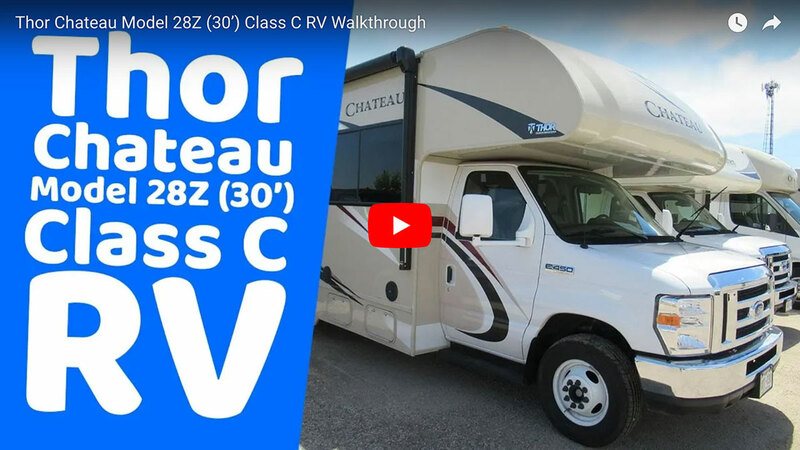 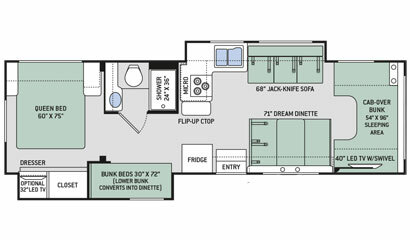 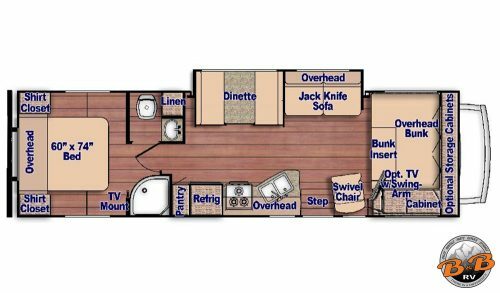 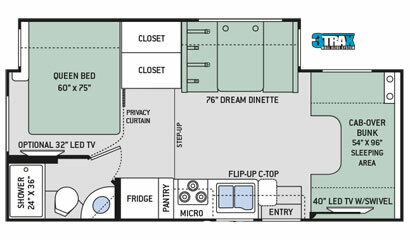 The Thor Chateau 28Z has all of your desired features including the cabover bed, large kitchen and living area slide out and walk-around queen with pillow top mattress. 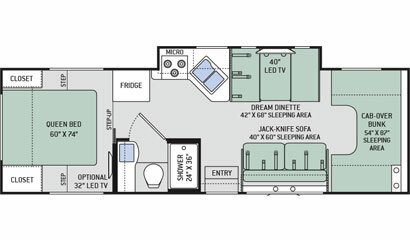 The large TV is located over the dinette across from the sofa for easy viewing. 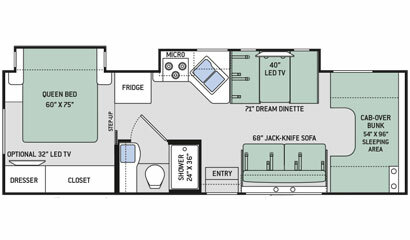 The dinette is the new style dream dinette that also easily folds to a sleeping area as does the leather sofa. 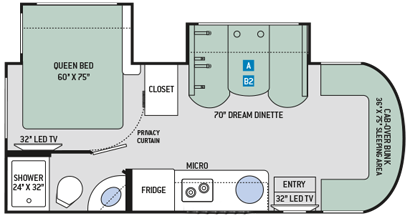 Other upgrades on this coach include microwave, oven and electric awning. 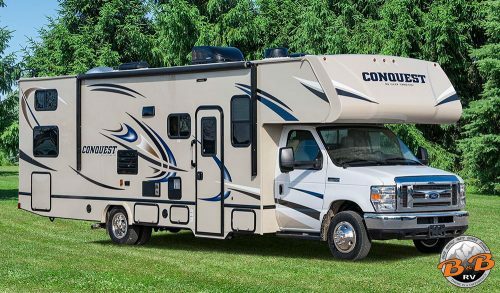 This is a great coach for parties of up to eight. 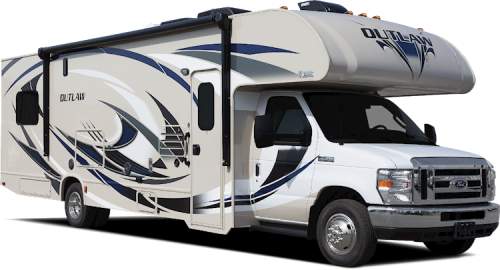 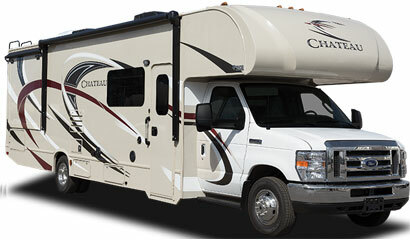 Check out some of our other Top-Grade Class C Motorhomes.